Caffeine revs up brain areas tied to short-term memory, new research shows. But don't rely on coffee or cola to boost your memory just yet. "We still need to learn more about caffeine's effect on mental resources," says Florian Koppelstaetter, MD, in a news release. Koppelstaetter is a radiology fellow at Austria's Medical University Innsbruck. Koppelstaetter and colleagues studied about a dozen healthy adults. 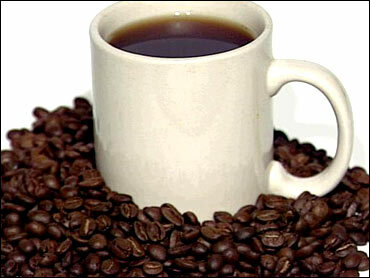 Caffeine boosted activity in brain regions related to attention and short-term memory, the researchers report. They presented their findings in Chicago at the annual meeting of the Radiological Society of North America (RSNA). How Much Caffeine Did It Take? The caffeine dose used in the study was 100 milligrams. That's roughly the amount of caffeine in an 8-ounce cup of coffee, depending on how you brew it. Participants were told to avoid caffeine for 12 hours and nicotine for four hours before the study. They were tested twice -- once with caffeine and once with a placebo. The tests were done a day or two apart. Participants got brain scans (MRI) while taking verbal memory tests. The tests didn't delve into the distant past. Participants didn't have to remember their kindergarten teacher's name or their first apartment's phone number. Instead, they had to recall a handful of letters shown 20 minutes earlier. The brain scans showed more activity in brain regions tied to attention and short-term activity with caffeine, compared with the placebo. It's the first time caffeine has been scientifically shown to have that effect, the researchers write. How long did the effects last? The study didn't test that. In their report, Koppelstaetter and colleagues don't make any recommendations about caffeine. Besides coffee, caffeine is found in tea, soft drinks, chocolate, and some over-the-counter drugs. Sources: Radiological Society of North America's annual meeting, Chicago, Nov. 27-Dec. 2, 2005. American Dietetic Association: "Cutting Down on Caffeine." News release, Radiological Society of North America.